Interested in testing our bags? To request a test kit, please fill out the information below. Choose from our custom kit, stock line kit, or smarterbags stock kit! 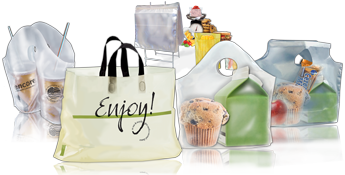 Kits include examples of our most popular restaurant bag styles, reusable grocery bags, sizes, films, and our custom printing capabilities. Try them out with your restaurant containers to see which bag fits the best - containers should slide in easily and stay upright - the best bag can help prevent tipping. Who referred you to RestaurantBags.com?